Living in India and searching for a job! Like every other country, it is not easy to find a job or stick to a position in India. Job portals in India are there to help you. The massive population of age group between 18-40 is struggling to find a suitable job. With the huge population and high competition it is not easy for every single person to get his desired job. Sometimes you end up falling for a position which is not good for you. That is where job portals come in play. Other people are reading: Why Choose a career in Digital marketing? Job portals in India are popular as they are the easiest method to find a job even without visiting an office. Indian job portals give you complete details about the positions available and how much you will be earning from that job. Online job forums in India play an essential role to find a job for you. Job portals save a lot of time and money that you will be spending on searching for a post on your own. If you are also in need of a job, then you will find this post helpful. 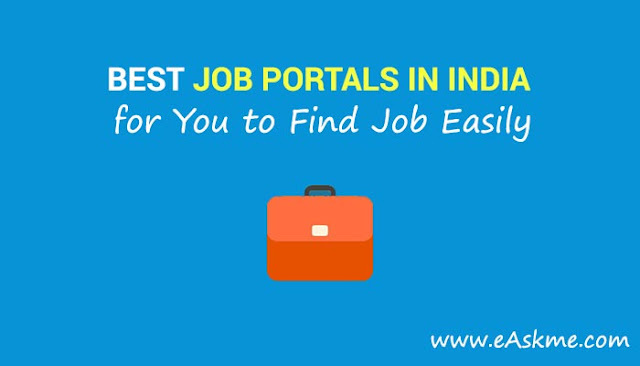 Here are the best Job portals for you to find a job quickly. Here I am sharing the top 10 job portals in India. Naukri.com is by far the most popular and largest online job portal in India. It was founded in 1997 when the internet was not accessible for every single person. Naukri.com has expanded their business into real estate and matrimonial business also. Naukri.com is the place where freshers, professionals and employment meet. 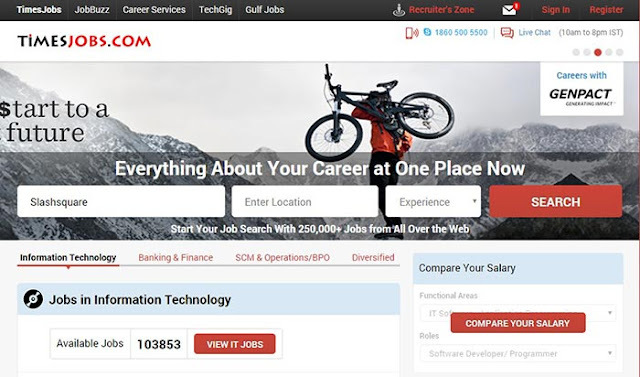 It is the highest rated job search portal in India. It is super easy to register on Naukri.com, upload the resume, set preferences and search the job you want. You will also receive job updates in your email. 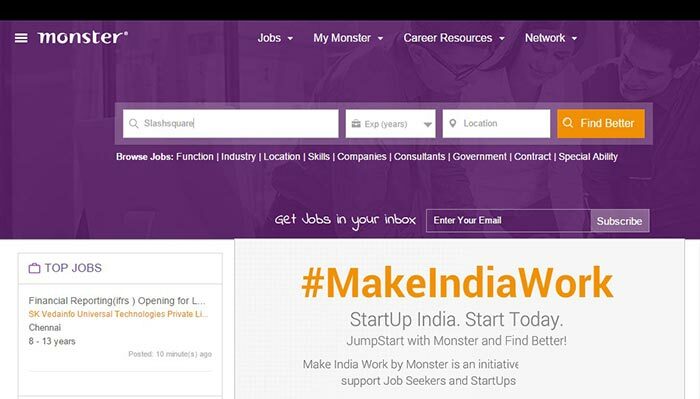 Monster.com is the second most popular job portal in the list of job sites in India. It is not only famous in India but the USA also. 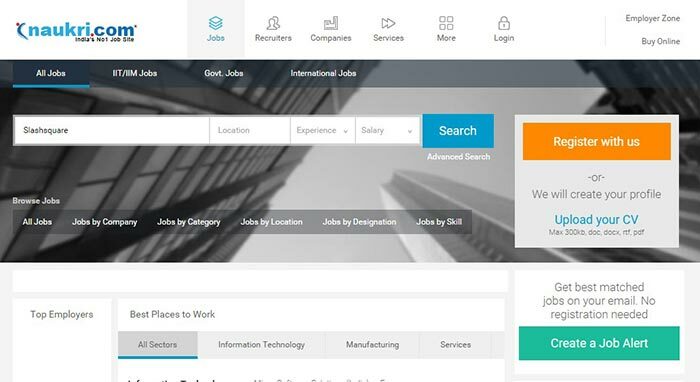 You can register on Monster.com, enter personal and professional details, upload your resume and ready to search for the job. You can check the requirements of the job before applying such as tenure, salary, experience, qualifications etc. Times Group founded TimesJobs.com in 2002. Within a few years, it became one of the most popular job portals in India. It is a perfect place where job seekers and job providers meet. Like Naukri and Monster, you need to register on this site and complete your bio before searching for the suitable job. You can not only search job in India but also search post in other countries. You can upload work samples and portfolio to make it easy for employers to understand your skills. No matter you are looking for one of the top job sites for fresher or for experienced, Careerjet is for all. 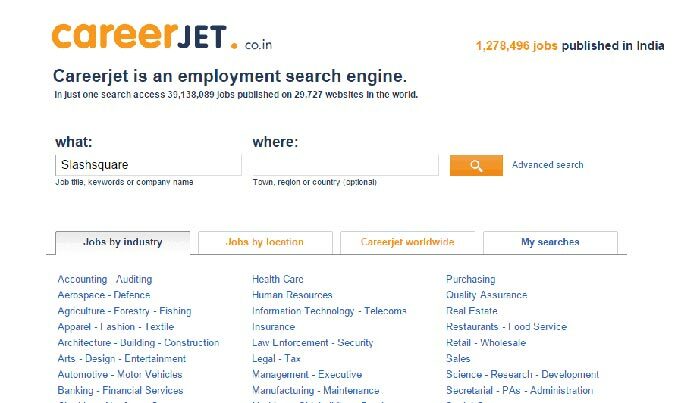 Careerjet is an employment search engine where you can type the job and search for the requirements. You can search the jobs according to your education, skill or passion. Careerjet helps you find jobs in 90+ countries and support 28 languages. CareerAge is India’s complete jobs and career search portal. It is among one of the top job portals in India. 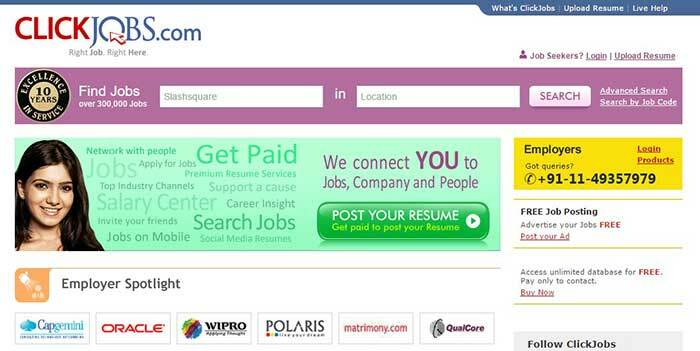 CareerAge founded in 1999, and since then the site is helping people to find jobs in India. 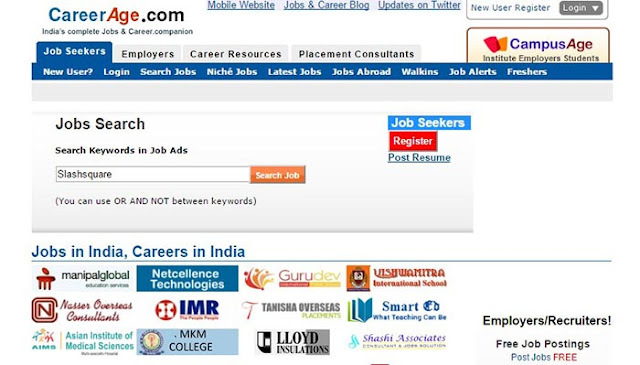 Companies are using this site to search for experienced people and freshers. Clickjobs is also one of the best job websites in India. Clickjobs says right job right here. To apply for the job you need to register on the site and complete your bio. You can find posts related to any industry on this site. The most popular businesses are using this job portal to find suitable candidates. 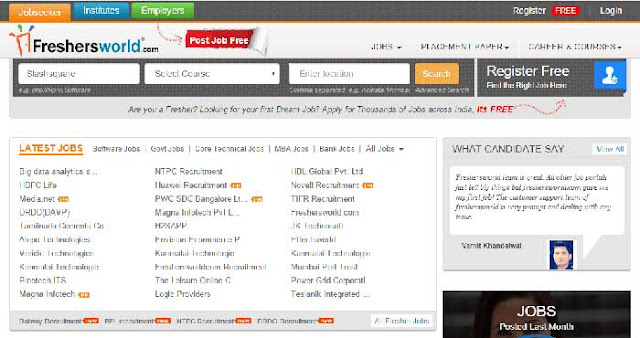 As the name, FreshersWorld is the job search portal for freshers. This is the place where you can not only find the job in private sector companies but also look for employment in Government agencies such as Railways, SBI, DRDO etc. You can search job by the company, by roles and by category also. You can also read their interview and resume writing tips. Indeed.co.in is also a popular website to search jobs in India. Employers can find resumes to hire people, and job seekers can search jobs posted on this site. You can search the job by entering the word and the place. Shine.com is the best place to find the latest job in India. You can easily search vacancies by entering skills or job title. You can register on Shine.com, upload the resume, search for jobs, read requirements and grow your career. FreshersLive is a job portal to find jobs across India. You will find daily updated jobs on this job search website. You can see not only positions in private companies but also government offices. You can also learn about the Mock tests and current affairs. These are the best job portals in India for freshers and also best job portals in India for experienced. Job portals in India has made it super easy to find a suitable job. Now you can find job according to your skills. Just register on the site, upload your resume, fill the details and start searching for the job.